You Can Run a Marathon! 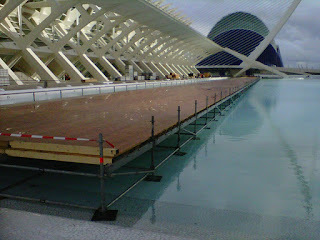 : 6 Days to Valencia Marathon. What is the Weather Prediction Now? 6 Days to Valencia Marathon. What is the Weather Prediction Now? The finish is nearly built!! They have a cool pasta party on the saturday and lots of things going on over the weekend such as bands and workshops! It seems it's going to be a hot day. Remember hydrate very well the days before the race and during the race. will look out for you and also try the 4.30 time. Pls look out for a blue Marathon Cartagena vest with BOOMER on the back.